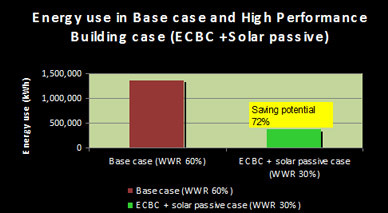 The Life Cycle Cost Analysis (LCC) of this high performing design strategy was carried out under this project. The LCC of this day use case considering 25 years is 961Million rupees. The Pay back for incorporating high performing design strategies is found out to be three years. The LCC of 24 hour use building case considering 25 years is 3212 Million rupees. 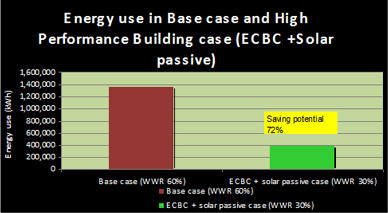 The Pay back for incorporating the solar passive design strategies is found out to be two years.